I quite like this drawing. I decided to make a prompt sheet. By writing a column of nouns, one of verbs and one of adjectives. I then used a couple of can tabs and drew what they fell on. I ended up with ‘fancy’, ‘elf’ and ‘playing with animals’. This simple prompt allowed plenty of freedom, and I could even get the same prompt and come up with a male elf playing with wolves in a fancy dress costume. Could even be a pixie playing with butterflies in a ball gown. I have seen lists done with dice where each die represents a column, and each item is numbered. The lists don’t even have to be these three things. When making a monster, it could be whether it has horns, or how many eyes it has. Maybe even just picking three words from the dictionary at random and force a connection. I’d like to make a giant list and program it into a generator. There are a few out there, but I haven’t found the perfect one for me. I also realised that this doesn’t have to be the final picture. 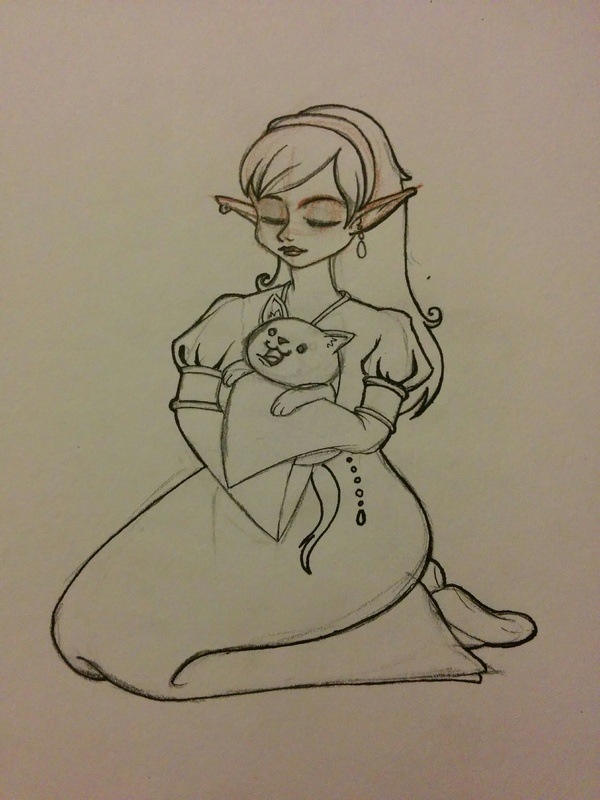 I can redraw it, making the cat more realistic, or change her pose. I could colour it in, and I’d like to make it bigger. But for now, I’m exhausted. Finally finished cleaning and need my beauty sleep. Good night everyone. 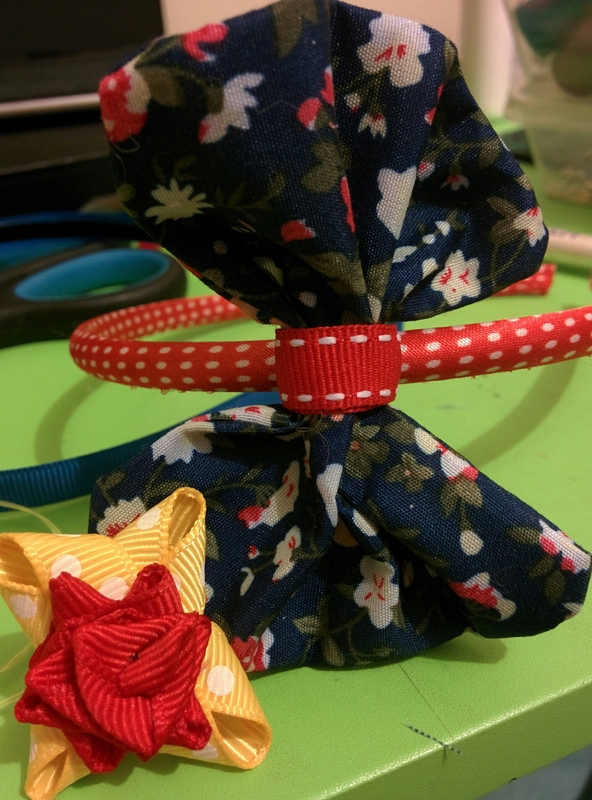 I thought I’d switch it up tonight, taking a break from needle felting for now, and got out my ribbon box (which I promptly returned after to make my space pretend to be clean.) 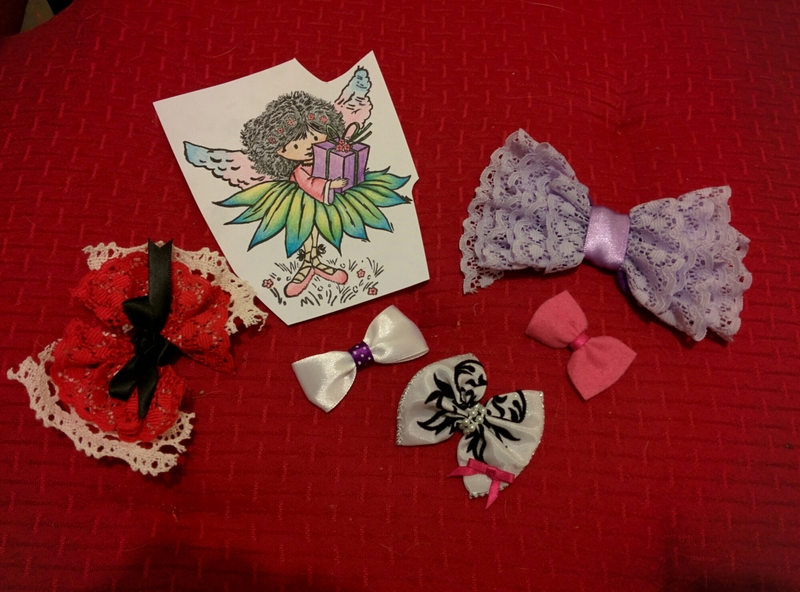 I’d been looking on Pinterest for crafts as usual, when I followed a trail towards bows. I like how you can choose images and migrate through the pages like thoughts, ever evolving and perhaps returning to images multiple times. It allows you to pick what you like, and show you more like it, it’s fun and doesn’t take brain power. In the end, the site learns what you like, and you might learn things about yourself. My journey often leads me to the miniatures section in crafts, which isn’t a surprise, as I’ve always loved miniature things. The skill that goes into the art of teeny tiny room making astounds me, and I’m yet to master this. Sure it takes a lot of different skill sets, that I may have, but it also takes a lot of patience and dedication to one project. Perhaps if I decide on a room and make a little bit each time I’m on a certain craft, I can complete something in a few years. If I had started when I first found this love. I’d have finished some by now. Come to think of it, I have a half painted wooden doll furniture set that I’m trying to customise. I’ll have to dig it out when I’m up to painting again. That might be after clay, if I ever start that. Just like Pinterest, I have veered off course into a progressive path of natural thought. 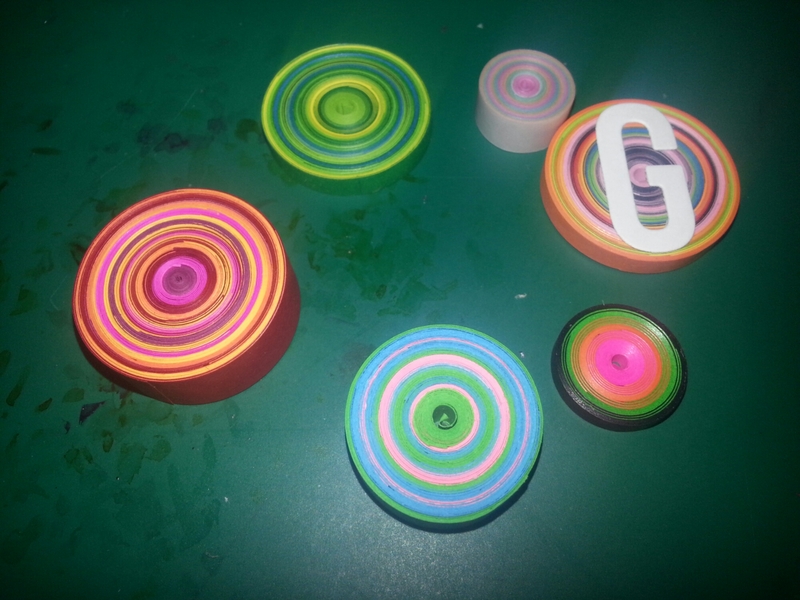 Letting your mind go on like this is good for idea generation and brain storming. Also helps with sleep if you write it all down. 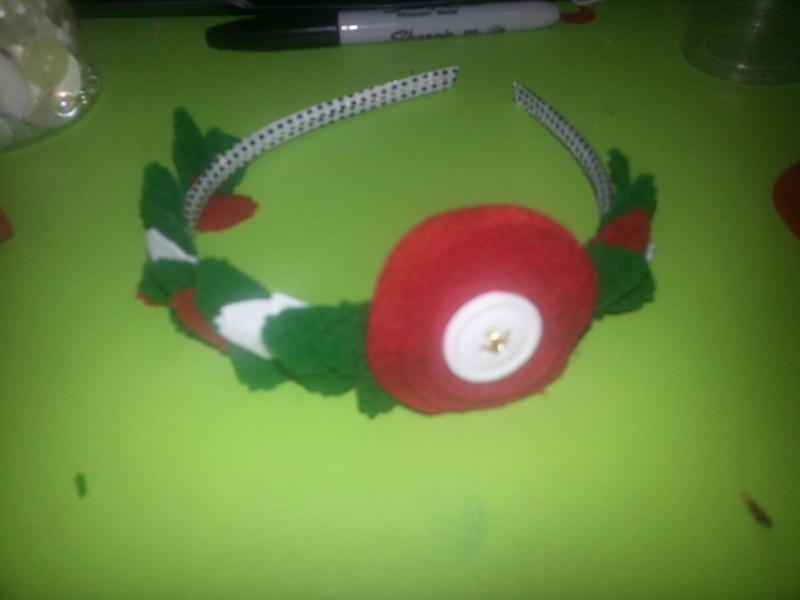 I wanted to make a Christmas themed headband and I thought of the leaves and flower idea. Then I bought my new circles die and stacked three sizes of red felt with a button finished with a gold thread cross for the flower. I’m not sure I like the red and white leaves in with the green. Perhaps different tones of green would look better, although it is very Christmassy, just like gaudy jumper/sweater. It would probably also look nice as an everyday headband if the colours were changed. Perhaps a peach or white flower. Maybe more than one flower and only a few leaves. You could make a wreath using a leaf die or punch. Make the leaves autumn themed with reds and oranges or match your clothes or decor. I get a lot of ideas that I have to write down because there’s no way I could make them all. I have about 700 notes on my phone alone. I always carry around a notebook and I’ve filled many of them. Not all of them good, but it is important to write them down. 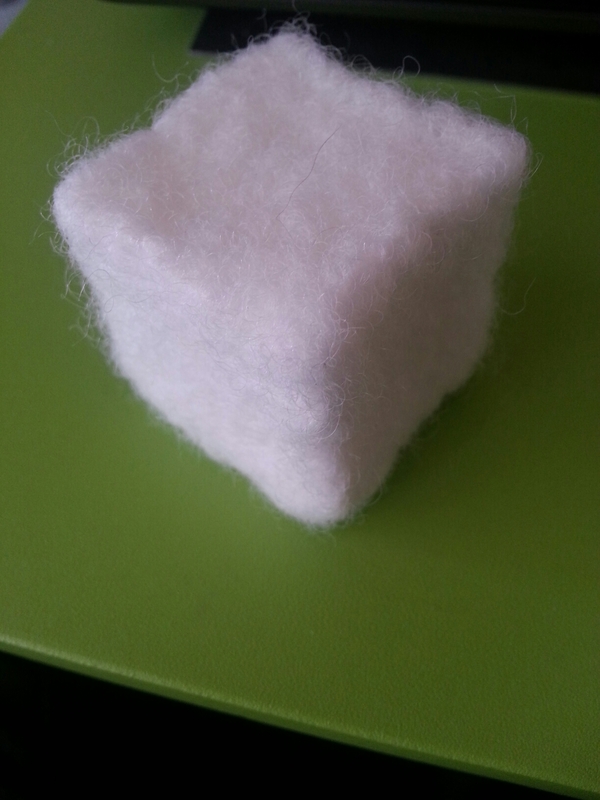 I not only think of art and craft ideas, but game ideas and how to fix certain parts of the world. I recommend that you do this too. Creativity feeds creativity. Write down any ideas you have. They don’t have to be good, you don’t have to show anybody. Even if you don’t do anything with the idea, you may look back and it will give you inspiration or just be fun to look back on.